Your hands suffer a lot of wear and tear on a daily basis. Over time, the skin on the hands can become dry, rough, and pigmented. Moreover, the skin on your hands are thinner and when volume loss kicks in as you age, unsightly veins can become even more noticeable. Fortunately, you can reverse the aging effects by giving your hands the tender loving care and attention it deserves. You’ll be surprise how less attention we give our hands, yet it does most of the work for us. 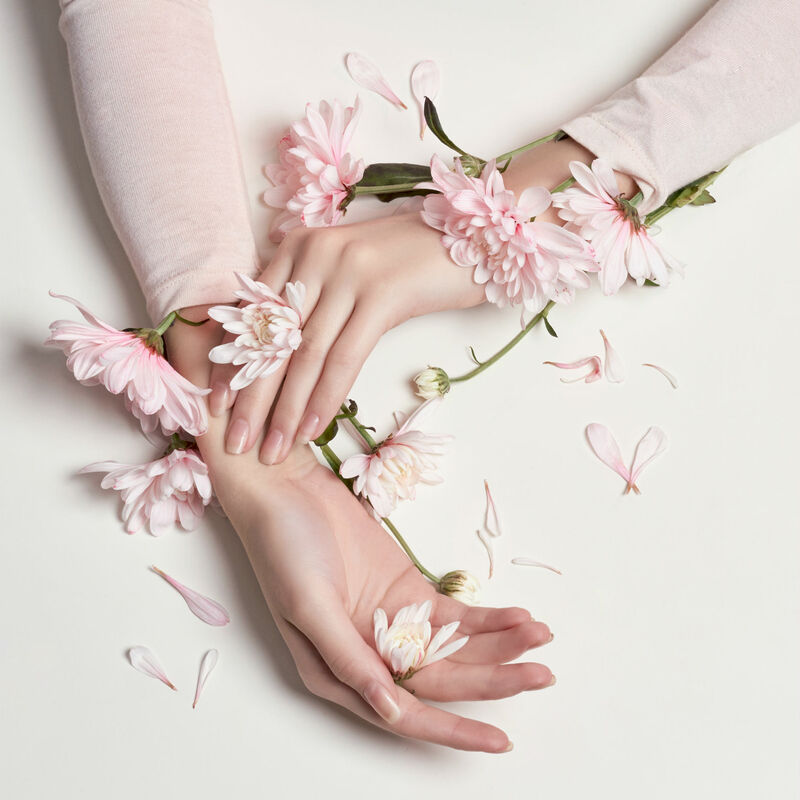 Here are five tips on how you can care for your hands and restore its youthful-looking appearance that matches your age. Thinning skin on the hands is a major concern amongst women, especially when the skin becomes thin enough for bones and veins to show through. This loss of volume can be safely addressed with the use of fillers. Dermal fillers are FDA cleared procedures to restore volume on the crepey or saggy skin on the hands using substances that can also be found in the body – hyaluronic acid and calcium. While fillers are most commonly used on the face, they also work well on the hands. Juvederm, a hyaluronic filler, and Radiesse, a calcium-based filler, have been proven for safety and effectiveness in restoring the volume loss on the face and on the backs of the hand where aging skin is usually most noticeable. Before a fillers procedure, numbing cream will be applied on the hands to make the treatment more comfortable. Most patients reported that fillers are very tolerable. The results of a filler treatment may last up to 9 to 18 months depending on the type of filler used. Limelight is a type of intense pulsed light (IPL) system that is exceptionally effective at treating age spots and uneven skin on the hands. The IPL delivered by Limelight is absorbed by the brown spots or pigmentation in the skin which will then scab and fall off after three to five days. Limelight has also been found effective at treating freckles and blotchiness under the skin. The procedure works by using light to heat up the pigment in the top layer of skin to promote a more even skin tone and reduce discoloration. When the pigmentation treatment device is placed on the skin, it feels cool and comfortable. However, when the pulse of light is delivered onto the skin, you may experience a brief, mild stinging sensation. To effectively treat dark spots on skin of your hands, you may need at least five treatments. Additional treatments may be required depending on the severity of the pigmentation. Most patients see a noticeable difference in their skin in the first two to three weeks of treatment. The Limelight treatment is non-surgical and does not have any downtime which means you can go back to your normal activities after the procedure. However, you will be asked to avoid artificial tanning or any sun exposure without sun protection at least two weeks before and after treatment. Another way to maintain younger-looking hands is by moisturizing your hands frequently. After bathing or even a simple hand wash, make sure to always moisturize your hands to restore the moisture that your soap stripped away from your skin. Tip: Having a compact hand cream is a great way to moisturize your hands even when you’re outside and on the go. Yes, your hands also need sunscreen daily as one of the most common cause of age spots is overexposure to the sun. Use a lightweight sunscreen with broad protection to shield your hands from harmful UVA and UVB rays. Re-application is also recommended. Lastly, remember to wear gloves to protect your hands whenever you are using harsh detergents, cleaning soaps and other chemical solutions. These types of chemicals can make your hands very dry and also it may be too acidic for your skin which may cause burns and blisters. Keeping your hands feeling and looking youthful can be as simple as giving the proper attention it deserves. By combining the right skin care products with safe treatments such as fillers for safe skin tightening with Limelight’s pigmentation removal will help you achieve the hands that fit your age. To know if you are a good candidate for the treatments mentioned, please contact Cutis Laser Clinics today to schedule a consultation with our Harvard-trained aesthetic doctor, Dr. Sylvia Ramirez.